On 25-27 November, over 30 young civil society activists, designers and IT experts from the EU’s Eastern Partner (EaP) countries (Armenia, Azerbaijan, Belarus, Georgia, the Republic of Moldova and Ukraine) gathered at a three-day event in the Ukrainian capital Kyiv. Along with representatives from five other countries, they joined an immersive exercise entitled the “CitizenLab 2017 Hackathon” to develop ideas for civic projects and create prototype tools and applications to empower digital participation of citizens in decision-making processes in their countries. The event was organised by the EU-funded Eastern Partnership Civil Society Facility (EaP CSF) and the Prague Civil Society Centre. Three days of intensive international collaboration on research, data collection and design culminated in the development of 11 prototypes of web interfaces, portals, interactive maps, bots and mobile applications on a wide range of topics: from segregated waste collection and disposal to air pollution monitoring, development of public spaces, police monitoring, participatory budgets and many others. At the end of the event, a jury voted to select four projects from the EaP countries to apply for the EU Digitisation of Civil Society scale-up funding scheme. One of the four will have the opportunity to win additional funding from the EU’s EaP CSF for its further development. Projects from Armenia, Belarus and Ukraine were shortlisted. 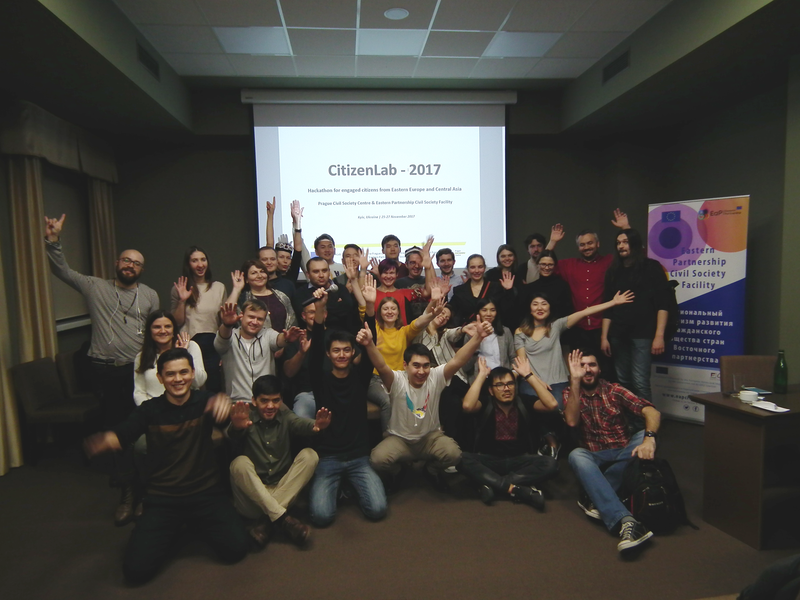 The objective of the CitizenLab 2017 Hackathon was to empower digital participation of civil society in countries from Eastern Europe and Central Asia, to improve transparency of public institutions and enable broader citizen involvement in decision-making processes. The EaP CSF is an EU-funded project working with the six EaP countries to promote the role of civil society actors by supporting innovations based on an e-learning approach, developing digital solutions to improve the public sector’s transparency and accountability, and strengthening cooperation and networking among civil society and governments throughout the region.